My personal favorite of our Chloe bottlings is the 2003. It shows great concentration and power, yet fine taut structure and natural balance that will provide great bottle development potential. Kent Ritchie's renowned Forestville hillside vineyard again provides the backbone of the blend: deep baked apple, intensely mineral-driven and tightly structured. 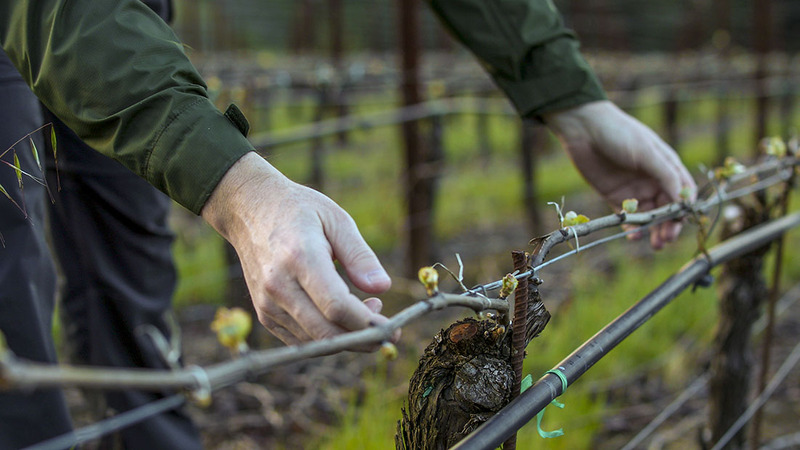 When we layer in Dutton's wonderful old vine Green Valley Sullivan planting bursting with citrus intensity and hazelnut richness, a blend comes forth that offers quintessential Russian River complexity, richness and nervy balance. The elevated acidity levels produced by the 2003 growing season will please those who savor Burgundian precision and delineation. Harvested a full maturity, both sources underwent long native yeast primary and malolactic fermentations with frequent lees stirring to enhance mouthfeel. The blend was made after eleven months and returned to barrel on the fine lees for a further five months to allow the wine's natural rich extract to come forward and balance out the strong acid backbone. Unfiltered bottling took place in mid-winter and the wine will see a full ten months of bottle aging prior to release. Intense aromas of lime, baked apple and wet stone combine with a trace of fresh mint and hazelnut. Ripe white peach and apricot dominate the palate entry leading to taut minerals and broader spiced apple flavors. The mid palate sings with rich old vine extract and prominent fresh acidity provides great thrust to the wine's persistent finish. Perhaps our most age-worthy Chardonnay bottling to date, the 2003 Chloe is currently youthfully tight, showing Burgundian austerity on the finish but promises to round out over the next year in bottle and develop in secondary complexity for a full 5 years. Serve no cooler than 55 degrees to allow the full range of flavors to shine.